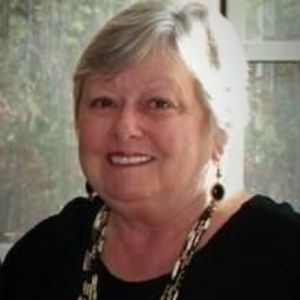 Carol Booth Hoffman, 71, of Apex, formerly of Seminole, FL, died Saturday, December 30, 2017 at Cambridge Village Retirement Community in Apex. Carol was born in Philadelphia, PA to the late Melvin and Anne Elizabeth Drennan Booth. She was a graduate of West Chester University and was employed as an educator retiring with 25 years of service. She was preceded in death by her daughter, Suzanne Lisa Hoffman. Carol is survived by her son, Jeffrey Hoffman and wife, Julie; brother, Jack Booth; sister, Barbara Cara; and three grandchildren. A memorial service will be held 1pm Monday, January 8, 2018 at Apex Funeral Home Chapel, 550 W. Williams Street, Apex, NC 27502. The family will receive friends immediately following the service at the funeral home. A private family inurnment will be held at Saint Mary Magdalene Catholic Church Columbarium.